Get your body into motion with this unique Superfood Blend with MACA by Earthly Choice, Quinoa flakes, cacao nibs, coconut, buckwheat, MACA, Chia and hemp. It’s a perfect blend of Superfoods that gives you a nutritious boost with a satisfying flavor. 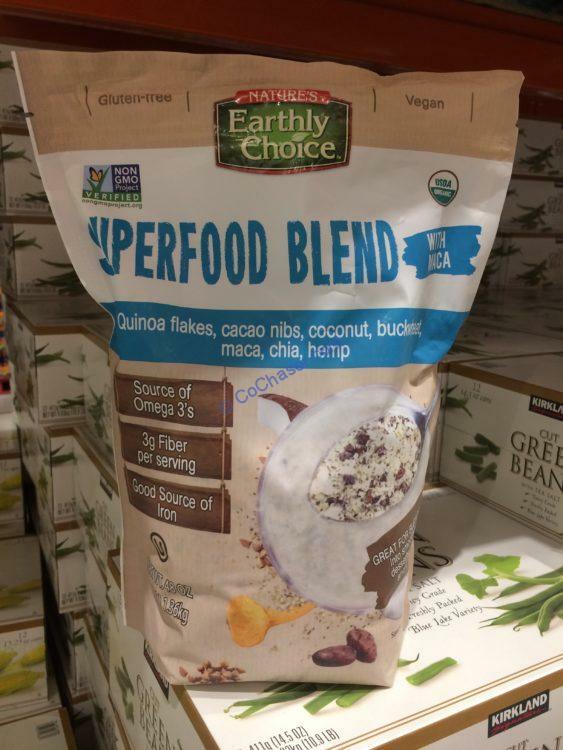 Naturally sweetened, organic and gluten-free, this Earthly Choice Organic Superfood Blend is the perfect complement to smoothies, desserts, yogurt or wholesome cereal. It is a good source of Omega 3, fiber and Iron. For each serving (3 Tbsp, 28g), it contains 130 calories. 6g total fat, 3g fiber, 4g protein, 15g total carbohydrate, 2g sugars, 2% of Iron.